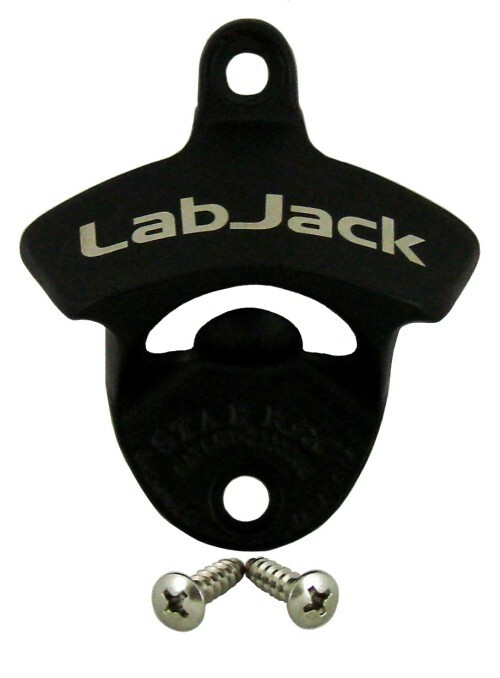 Wall mount bottle opener featuring the LabJack logo. Made from stainless steel with flat black powdercoat finish. FREE SHIPPING! All promotional merchandise items ship free to the continental USA via ground.